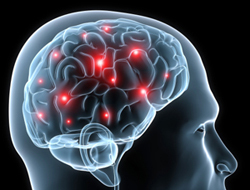 One of our primary areas of practice is brain injury litigation. We offer absolutely free legal consultations and you do not pay until we win your case. The statistics for brain injury are staggering. Approximately 450 Canadians suffer a brain injury every day. For Canadians under 40, acquired brain injury is the leading cause of death or permanent disability. Most people who sustain a brain injury are never able to return to work. At Handel Law Firm, we take an active role in developing a community health care team dedicated to your rehabilitation, care, and the welfare of your family. Drawing on our extensive network of health care providers in the community, we ensure that you not only have the best legal representation but the best health care team available. We will connect you with a rehabilitation team that is fully committed to your treatment and long-term well-being. WE UNDERSTAND fully that communicating with a personal injury victim who has suffered a brain injury presents significant obstacles which a lawyer must overcome to ensure that the victim receives proper compensation, which can only be done if a lawyer fully understands the situation of the brain injured victim. WE UNDERSTAND that a traumatic brain injury victim may have a lot of functional challenges impacting their communication, but it does not mean they are necessarily any less intelligent. The best place to start is by asking where to start. Not all individuals with a brain injury have the same problems. WE UNDERSTAND that the lawyer should be aware of the client support network and work with that support network to ensure proper communication with the brain injury victim, and add to that support network where necessary. Brain injury societies throughout Alberta have been helping individuals and families deal with the effects of traumatic or acquired brain injury. Often founded by families whose children sustained brain injuries, these brain injury societies are registered charities which provide support and services free of charge to individuals and families who are living with the effect of acquired brain injury. WE UNDERSTAND figuring out what works best for both sides is essential. We are aware through extensive experience that it typically takes longer for a brain injury victim to get information in, to understand it, sort it out, and come up with a response. Thus, telephone calls should be kept short and simple and it is better for the personal injury lawyer to communicate with the brain injury victim in person. WE UNDERSTAND that when communicating in person it is important that there be a quiet and uninterrupted environment as distractions or noisy environments can cause far greater disturbances for the brain injury victim than for the average person. Another option is we will come to the brain injury victim’s home during any communication requirements. WE UNDERSTAND memory can be affected in individuals with a traumatic brain injury and there are several approaches which may be taken to alleviate this problem. One, we ask the brain injury client to write down any issues or questions they have in advance of the meeting so nothing gets overlooked. Two, WE DO NOT RUSH. Rushing is not an option when a person has a brain injury. Extra time will be required to ensure the brain injury victim is fully informed and understands what is going on. In communicating we will maintain a natural volume of voice and natural relaxed rate of talking. At the same time, the victim should not pretend to understand when they didn’t understand. Seek clarification from the lawyer. We will recap what has been talked about. If necessary, we will repeat the message as required or present the message in a different way. Finally, it is always helpful for the brain injury victim to have the trustee or guardian present, or if there isn’t one appointed, then to have a friend or family member there to assist with the understanding and communication process. We are here to provide help and hope. WE UNDERSTAND that not all brain injuries are severe or moderate brain injuries and that many brain injuries are less severe – known as Mild Traumatic Brain Injury (MTBI). In our opinion this medical label is misleading as when it comes to the brain there is no such thing as a “mild” brain injury! The brain undergoing an acceleration/deceleration movement (i.e. : whiplash) without external trauma to the head. It excludes stroke, anoxia, tumor, encephalitis, etc. Computed tomography, magnetic resonance imaging, electroencephalogram, or routine neurological evaluations may be normal. Due to the lack of medical emergency, or the systems, some patients may not have the above factors medically documented in the acute stage. In such cases, it is appropriate to consider symptoms that, when linked to a traumatic head injury, can suggest the existence of a mild traumatic brain injury. Behavioral change(s) and/or alterations in the degree of emotional responsiveness (e.g. irritability, quickness to anger, disinhibition or emotional lability) that cannot be accounted for by a psychological reaction to physical or emotional stress or other causes. Some patients may not become aware of or admit, the extent of their symptoms until they attempt to return to normal functioning. In such cases, the evidence for mild traumatic brain injury must be reconstructed. Mild traumatic brain injury may also be overlooked in the face of more dramatic physical injury (e.g. orthopedic or spinal cord injury). The constellation of symptoms has previously been referred to as minor head injury, post-concussive syndrome, traumatic head syndrome, traumatic cephalgia, post-brain injury syndrome, and post-traumatic syndrome. A GSC score of 13 or higher generally correlates with a mild brain injury, 9 to 12 is a moderate injury and 8 or less a severe brain injury. However, the originators of the GCS have recognized its limitations at the higher range of the scale. It is now recognized that an altered state of consciousness can result in MTBI that is not detected by the traditional GCS due to its insensitivity to milder brain damage. The greater sensitivity of post traumatic amnesia (PTA) as a more reliable measure of MTBI has led to the creation of the Extended Glasgow Coma Scale (GCS-E) by the authors of the original GCS. A severity index that is more sensitive to the nuances of mild TBI would help resolve the controversy with regard to the sometimes severe consequences to which mild and even very mild brain injuries may give rise. A person with a GCS of 15 on admission or soon thereafter, even if amnesic and hypo-aroused [diminished arousal], may be prematurely discharged. Symptoms such as irritability, unreliable memory, and greater fatigue that develop in the days and weeks after discharge are likely to be attributed to malingering or post-traumatic stress rather than to a concussion syndrome. In developing countries, where there is especially high reliance on the GCS, an admitting score of 14 or 15/15 will often result in a denial of compensation claims, even if the victim is unable to return to employment. Nell, V.; Yates, D.W.; and Kruger, J. “An Extended Glasgow Coma Scale (GCS-E) With Enhanced Sensitivity To Mild Brain Injury”. Arch Phys Med Rehab, 2000, Volume 81, 614-617. The GCS-E was developed with the support of the World Health Organization Advisory Group on the Prevention and Treatment of Neurotrauma that has adopted the GCS-E as an optional diagnostic variable for the revision of the “Standards for the surveillance of Neurotrauma”. 7 No amnesia: the client can remember the impact, can remember falling and striking a solid surface, etc. 6 Amnesia for 30 minutes or less: client regained consciousness while still in the vehicle, in street at the scene of the incident, in an ambulance, or on arrival at the hospital. 5 Amnesia of 30 minutes to 3 hours: remembers arriving at the emergency room, admission to the ward, etc. 4 Amnesia of 3 to 24 hours: determine duration by the content of the first memory, which will be for an event in the ward or other hospital procedure. 3 Amnesia of 1 to 7 days. 2 Amnesia of 8 to 30 days. 1 Amnesia of 31 to 90 days. 0 Amnesia greater than 3 months. X Cannot be scored: e.g. can speak but responses are inappropriate or unintelligible, cannot speak because of unconsciousness, intubated, facial fractures, etc. Altered consciousness soon after an injury is the clue to the brain damage already suffered. When first seen in the emergency department it is useful to record whether the patient is talking. If he is talking, is he orientated and rational? And if he is, can he remember everything about, and since, the accident? Amnesia for even a few minutes after a blow to the head is evidence of diffuse brain damage. Jennett, B. and Teasdale, G. “Management of Head Injuries”, Contemporary Neurology Series, Vol. 20, F.A. Davis Co., 1981, 96. Since 1989 the limitations of the GCS in the assessment of MTBI have been noted and published by its creators, Jennett and Teasdale. Yet in the following 12 years, the GCS has continually been applied to exclude the diagnosis of MTBI. Clearly, there may be legitimate differences of opinion between qualified experts as to whether some individual falls into the category of the 10 to 15 percent of victims who do not recover from an MTBI (sometimes referred to as the “walking wounded” or the “miserable minority”). However, with advances such as the GCS-E, the medical community will be better equipped to accurately diagnose MTBI following a traumatic event. Hopefully, this will lead to fewer false negatives in the diagnosis of MTBI, which can leave the victim of an MTBI without recourse to appropriate treatment or adequate compensation. 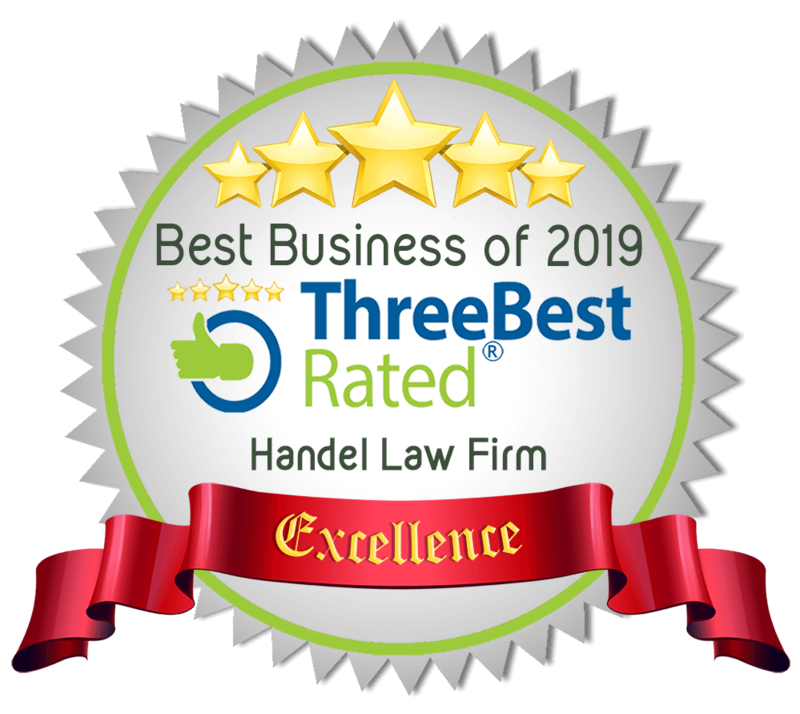 At Handel Law Firm we will ensure you receive the appropriate compensation that your situation deserves based on the best medical evidence and our extensive knowledge of legal case precedents for brain injury compensation.